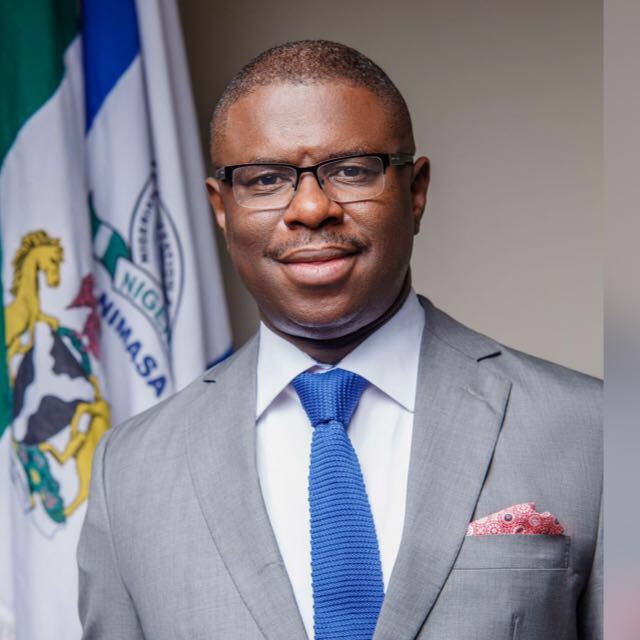 The Director General of the Nigerian Maritime Administration and Safety Agency (NIMASA) Dr. Dakuku Peterside has been re-elected the Chairman of the Association of African Maritime Administrations (AAMA) for another term. Dr. Dakuku who is the incumbent Chairman of the Association was unanimously elected to continue to lead the body by the member states present at the 4th conference of the continental body which recently met at the El-Sharm sheik in Egypt. According to the Chief Operating Officer and Acting CEO of the South African Maritime Safety Authority (SAMSA), Mr. Sobantu Tilayi, the leadership style of the NIMASA DG has brought better relationship amongst the leaders of the maritime administrations on the continent. He added that there is no better way to sustain the tempo than to re-elect Dr. Dakuku to continue to lead the charge. In Mr. Tilayi’s words “under Dr. Dakuku’s leadership we have witnessed unprecedented level of cooperation amongst African nations especially as it concerns maritime. African regions are now willing to collaborate to grow the sector and address the security challenges bedeviling the continent’s maritime industry. So there is no better way than to re-elect our chairman to continue to lead this charge” he said. In the same vein, the Director General of the Ghana maritime Administration, Mr. Kwame Owusu said that AAMA under the leadership of Dr. Dakuku Peterside has promoted collaborations amongst African Nations in order to tackle the issues that are hindering the development of maritime on the continent. Speaking shortly after his re-election, Dr Dakuku said that there was the need for African nations to cooperate in order to reap the benefits of the African maritime sector. He noted that the volume of cargo generated from Africa and those that head to African must be commensurate with the developments of the continent’s maritime industry. Commenting further he said the laid down policies such as the African Integrated Maritime Strategy (AIMS), the Lome Charter and other strategies that have been developed to proffer solutions to the challenges that the African maritime sector faces must be collaboratively implemented by African Nations. He further stressed that Africa must remain a bloc at international level when maritime decisions are being taken especially at the International Maritime Organisation (IMO), as well as other forums where relevant decisions may be taken. AAMA was established with backing of article 5 of the African Maritime Transport Charter (AMTC). With the aim of drawing up a master plan on measures necessary to progress the maritime agenda as envisaged in the African Maritime Transport Charter; strengthen cooperation at the regional, continental and international levels in harmonizing policies and goals necessary for the growth of the African Maritime Sector and enhancement of continental collaboration amongst others. The association elected the DG of NIMASA, Dr. Dakuku Peterside at its 3rd conference which was held in Abuja in 2017 and he has been re-elected to lead the body for another one year.